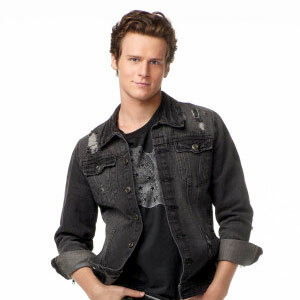 TVLine.com broke the news that Jesse St. James (played by Jonathan Groff) will returning to Glee for the show's final three episodes of Season 2. I for one cannot wait to have the Vocal Adrenaline back. While I wasn't a fan of the fact that "Funk" was aired out of order, thus making his betrayal of New Directions completely confusing, I did like the character, and I'm not surprised that the show is bringing him back. Plus, there's so many unresolved issues between him and Rachel that he will definitely inject some much needed life into the decent, but far from great, sophomore run. It'll be good to have Groff back, since he was one of the few major highlights of the second half of Season 1, but I'm not too jazzed about his potential storyline. According to the site, there's a chance that Jesse will try to make amends with Rachel, and he'll try to win her back. What irked me about "Funk" was the fact that they tried to make Jesse conflicted about what he did to Rachel. To some, his hesitations made for better storytelling, but I just wanted him to pick a side (either be a good guy or a total douche) because it would be hard to redeem him after what he did. My hope is he's back to sabotage ND all over again, which really wouldn't make sense since he's supposed to be going to the UCLA, so why waste time and energy focusing on the past especially since VA won last year? I could see a revenge plot take place if New Directions somehow won, but now he doesn't have the right motivation. Maybe he dropped out and is now trying to make it on the Broadway. Heck, he could even be shacking up with Shelby and Beth. Drama! It'll be interesting to see how they justify bringing him back in to the mix. The thing is, Jesse's motivation to make a comeback or his mere presence doesn't have to make sense or even be plausible. This IS Glee we're talking about. Regardless, I'm just glad to have him back and if he stirs the pot, then all the better.